Christchurch South Intermediate cast of Alice in Wonderland. Christchurch Star Archive. In copyright. CCL-StarP-01472A. 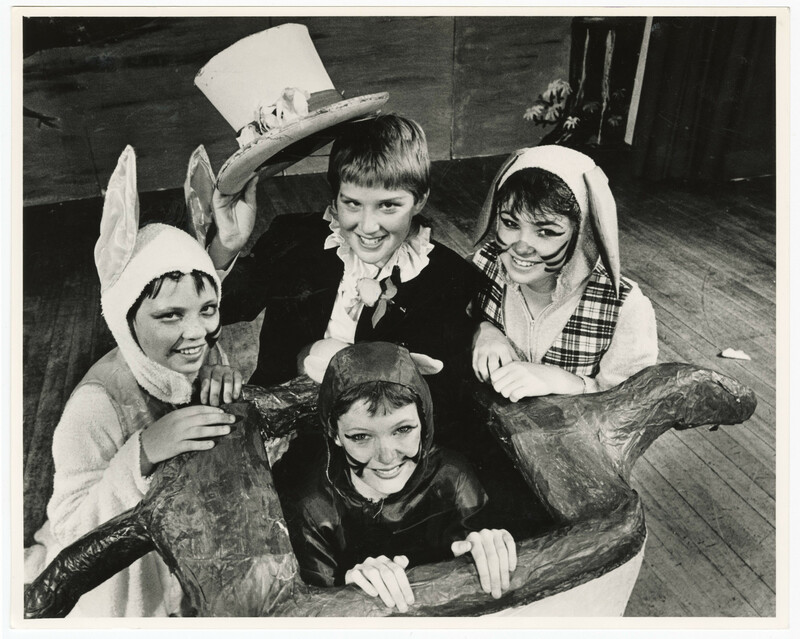 Christchurch South Intermediate pupils Danial Lindsay, Corin Dann (the journalist and broadcaster in an early role), Emma Kinsley and Emily Moore as characters in a musical of Alice in Wonderland. 2 December 1987. Do you have any photographs of performances? If so, feel free to contribute to our collection.